Our CSA is temporarily on suspension. We will resume both the vegetable and meat CSA in the Fall. Sorry for any inconvenience. 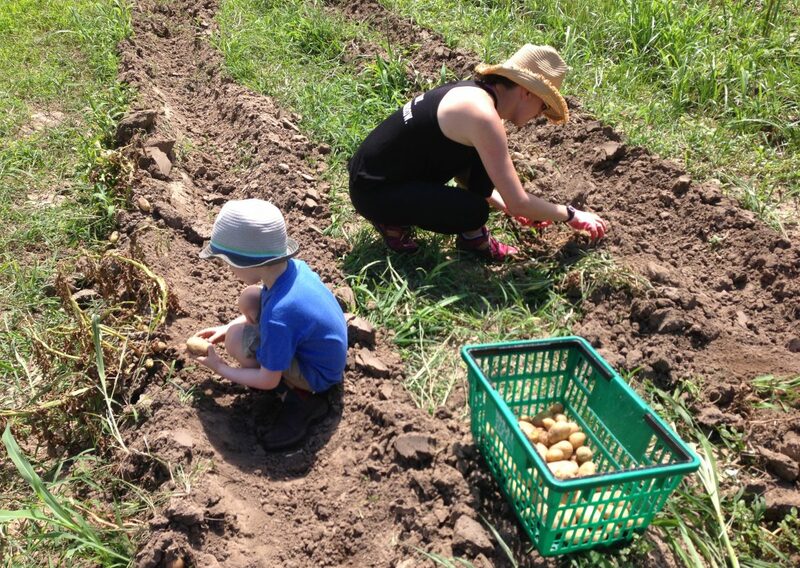 CSA is Community Supported Agriculture. This means individuals and individual families support the local farm by buying a weekly “share” of what’s growing within the season. What we do: For fall we will have 1 size veggie share. Need more? Get TWO! The share provide you a mixed box of 4-8 varieties of vegetables available for pickup every week. These are grown in a sustainable manner with no chemicals and using organic practices. The shares will be distribution total of 12 weeks in all. Vegetables may include peppers, greens, tomatoes, turnips, beets, radish, squash, greens, beets and much more depending on the season! What you do: You sign up to receive a box of yummy vegetables and we deliver them to your assigned pick up site. You take ’em home and enjoy! Sign up for your shares with our Fall 2018 CSA sign up form. Fill out the form digitally or the old-fashioned way, and submit via email, post, or handshake. As it says on the document, you can pay with cash or check (please make payable to “Taylor Farm”) in person or by post, using VENMO or PayPal (please add an extra 3% if using PayPal to cover convenience fees), and by any of the above methods separated into two payments. No refunds after September 30th. We appreciate your advance funds, and soon you will taste the immediate investment in your local CSA!